Your phone data, files, and documents are an integral part of your career life. If you lost the data, it may result a huge lose not only for you, sometimes also for your company. However, it is inevitably for a phone to come up with many issues, such as broken screen, factory resetting, software update, or accidental deletion. Android devices are important for daily lives. They contain a lot of prominent data, pictures, audio files, videos, text messages, e-mails, daily reminders, memos, contacts, call history and so on. Free Android data recovery software has been developed that will help you retrieve all the lost data in just a few minutes. These free Android data recovery apps or software make your life simpler. You need not to worry about losing data on your Android mobile at all. Lots of free Android recovery software have been launched, but how can you choose the right one for you? This article will help you find the best software for you. Also, this will help you know about several other software that commonly being used by users. UltData for Android is one of the most successful launches made by Tenorshare. This free Android recovery software can bring back all your lost data from different calamities like water damage, broken screen, OS crash and more. 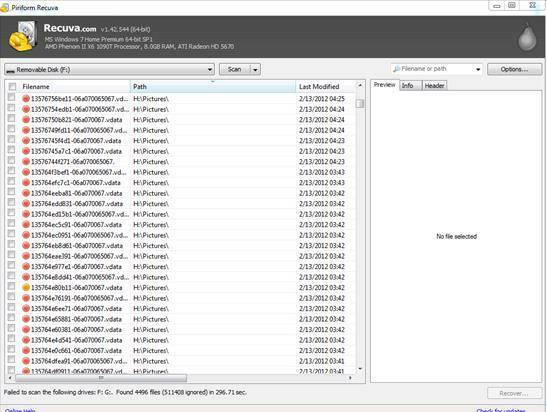 UltData is extremely easy to download and very useful for restoration. All types of files ranging from text messages to prominent documents can be recovered from your Android handset in a few minutes. UltData - Android data recovery can also retrieve lost data from your SD card. You can separate the files or data that you want to selectively retrieve from your mobile or tablet. This software makes data recovery very simple, quick and affordable. UltData is totally compatible with Android 8.1, 8.0, 7.1, 7.0, 6.0, 5.1, 5.0, 4.4 and all the other older versions. UltData is capable for restoring all kinds of data types like photos, contacts, WhatsApp messages, text messages, e-mails, documents, videos. It also retrieves the data from external SD card storage. MiniTool is an easy-to-use software to keep all your data safe. In the case that you lost important documents due to virus attack or system crash, this software can recover all your lost data. The interface of the free Android data recovery software is totally organized and simple for new users. There are options to navigate the recovered data and storing it anywhere as you wish. This free software is compatible with few android tablets and phones only. It can recover from SD cards also. It can support media data, photos, videos, audios, text messages, WhatsApp texts and media, documents and files. EaseUS MobiSaver is known for its efficiency in Android data recovery free. It can retrieve all your data due to factory resetting, formatting or virus attacks. The software is simple and can recover photos without diminishing its quality. A preview is available before completing recovery as well. Contacts, call history, photos, videos, galleries, SMS, messages, memos and documents are the supported file types. Disk Drill 2 can make Android data recovery free when you have lost important media files and documents. The interface of the free Android recovery software is extremely precise and simple. This makes it one of the top free Android data recovery solutions. All kinds of data can be quickly recovered with the Pro version of Disk Drill 2. The older and the newest versions of Android are compatible with this software. The supported files include photos, archives, documents, music files, songs, audio and video documents, call logs and text messages. 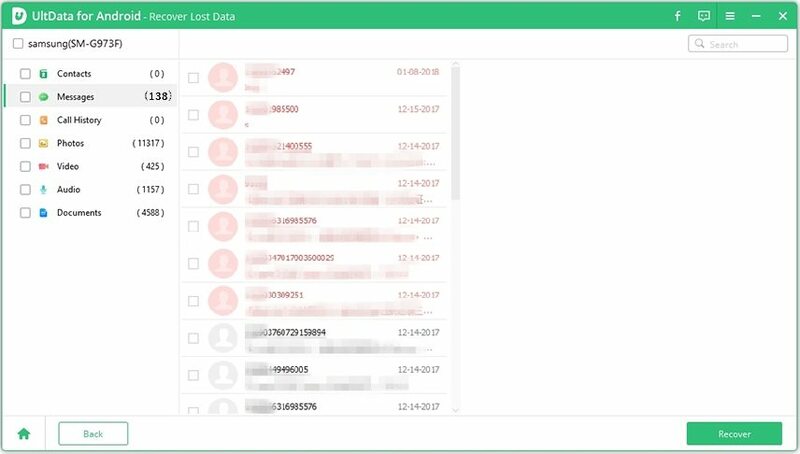 Recuva for free Android recovery is very exceptional and unique. Because it is known for recovering lost data from flash disks, hard drives, CDs, SD cards and external drives. Effective for cases like broken screen and damaged screen! Jihosoft is a very popular data or phone recovery software for Android. It is a powerful tool that recovers all data within seconds. Scanning and restoring process is quick and simple. There are a lot of options in it and it has a user-friendly interface. It can be downloaded on PC or Mac for retrieving lost data on Android mobiles. Jihosoft is compatible with most Android versions. It is even effective for the latest 8.1 version. Jihosoft can restore photos, videos, contacts, files and text messages. MyJad software for Android data recovery can help you secure your data which is deleted accidentally. It can recover most types of documents and files. The interface is easy to understand and use. This software too can bring back SD card files. A lot of new and exciting features are available in the Pro version of MyJad android data recovery. All Android versions from the oldest to the latest are compatible with MyJad. Call history, text and WhatsApp messages, photos, videos, songs and media files, documents are all supported. Aiseesoft is a brilliant tool to recover lost and corrupted data from Android phones. This can be downloaded on your PC for making effective restorations. You can get an option to choose the files you like to get back. Aiseesoft is famous for providing instructions while taking up the recovery process. It supports mobile phones like Samsung, HTC, Sony and many more. Requires USB debugging when you want to recover lost data from Android phones. Text messages, call history, videos, photos and media files are supported. Dr. Fone directly scans and restores any kind of data. It is an easy way to restore photos, texts and documents. The compatibility is high in this free Android data recovery software. It can be used with Windows 10, 8.1, 8, 7 and many other Android versions. SMS, text messages, music, audio and video files are all supported. FonePaw is another software for data recovery in Android devices. It will bring back all your lost data due to uncertain circumstances. It is very easy to use thanks to a user-friendly interface. It is quite similar to other recovery programs and gets the job done. Music files, data files, videos, documents and texts are all supported. We have seen the various advantages and drawbacks of all the free Android data recovery apps. A versatile software that eradicates all those disadvantages is essential to keep your data safe in any circumstances. Therefore, UltData for Android is clearly the best free Android recovery software which has many features and benefits. Here is the guide to describe the working process of UltData for Android data recovery free. Step 1 Install Tenorshare UltData for Android on your PC or Mac. Initiate the software and connect your Android phone via USB cable. Step 2Now enable USB debugging for your Android device then the software will detect your device. Then it will ask your consent for enabling Super user Access. Click "Allow" button and then select "Next". Step 3Choose the files you like to recover and click "Next". The software will scan through the deleted files. Step 4After scanning is complete, the software will display all the deleted files. Select "Only Display The Deleted Items" to continue and preview, click "Recover" button. Then You can save the recovered files on your device or on your PC. This article has given you a detailed picture of the various free Android recovery tools and software. All the apps and software mentioned have their own disadvantages and advantages. But UltData for Android is a revolutionary free Android recovery software that will give you the best experience for retrieving all your lost data. Highly recommended! Just go for it.